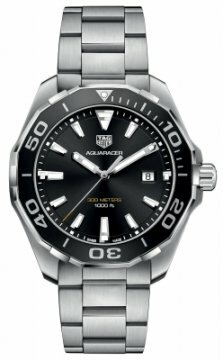 Buy this new Tag Heuer Aquaracer Quartz 43mm WAY101A.BA0746 mens watch for the discount price of £1,190.00. UK Retailer. 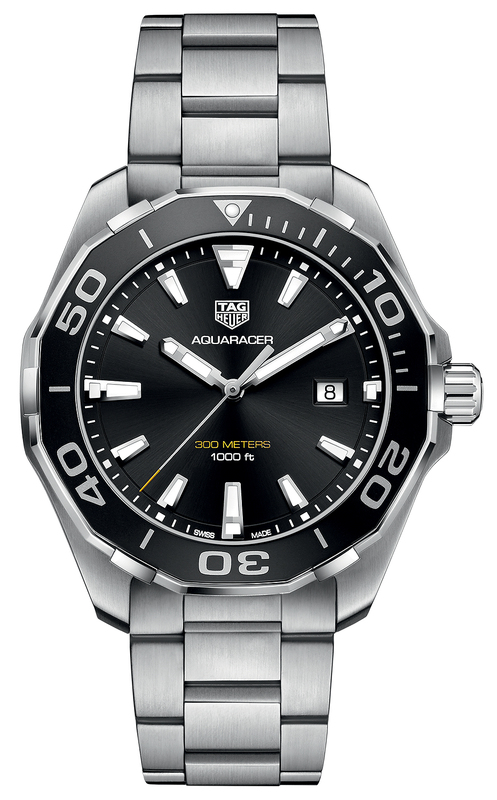 End of Battery Life Indicator - the seconds had starts to make four second jumps, the correct time will be displayed until the battery is exhausted.